27 RfC regarding "Interlinking of accounts involved with paid editing to decrease impersonation"
Quand che i scrive, për piasì, vardé dë mai scancelé lòn che a l'han scrivù j'àutri. Për vira argument a sarìa mej buté un tìtol separà, për nen fé 'd rabel. Mersì! Për gionté n'arspòsta sgnaché Modìfica (a l'é col cit dzora a vira session, a la drita) e gionté vòstr test ancaminand con na marca *, për firmé dovré la penùltima icòna a la banda drita ansima al quàder ëd modìfica dël test (che as deurb na vira che un a l'ha sgnacà Modìfica). Firmé a l'é bon deuit, ma dzortut a-j giuta a j'aministrator a capì chi ch'a l'ha dit còsa. Quand che i sgnache l'icòna av ven fòra na marca dròla che a l'é faita parej --~~~~. Lassela pura-lì, che peui ël sistema a sò pòst a-i buta vòstra firma. 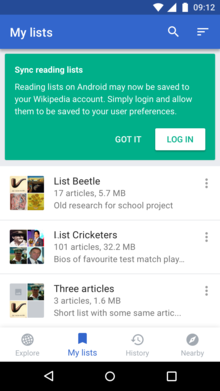 Wikidata description editing is a new experiment being rolled out on the Wikipedia app for Android. While this primarily impacts Wikidata, the changes are also addressing a concern about the mobile versions of Wikipedia, so that mobile users will be able to edit directly the descriptions shown under the title of the page and in the search results. We began by rolling out this feature several weeks ago to a pilot group of Wikipedias (Russian, Hebrew, and Catalan), and have seen very positive results including numerous quality contributions in the form of new and updated descriptions, and a low rate of vandalism. We are now ready for the next phase of rolling out this feature, which is to enable it in a few days for all Wikipedias except the top ten by usage within the app (i.e. except English, German, Italian, French, Spanish, Japanese, Dutch, Portuguese, Turkish, and Chinese). We will enable the feature for those languages instead at some point in the future, as we closely monitor user engagement with our expanded set of pilot communities. As always, if have any concerns, please reach out to us on wiki at the talk page for this project or by email at reading@wikimedia.org. Thanks! The Reading web team at the Wikimedia Foundation has been working to enable Page previews, a beta feature known previously as Hovercards, as opt-in behavior for logged-in users and the default behavior for logged-out users across Wikipedia projects. Page previews provide a preview of any linked article, giving readers a quick understanding of a related article without leaving the current page. For this project, we are expecting to collect feedback over the following few weeks and tentatively enable the feature in early May, 2017. For logged-in users who are not currently testing out the beta feature, Page previews will be off by default. Users may turn them on from their user preferences page. For logged-out users, the feature will be on by default. Users may disable it at any time by selecting the setting cog available in each preview. For users of the Navigation popups gadget, you will not be able to turn on the Page previews feature while using navigational popups. If you would like to try out the Page preview feature, make sure to first turn Navigation popups off prior to turning Page previews on. You can read more about the feature and the tests we used to evaluate performance, try it out by enabling it from the beta features page, and leave feedback or questions on the talk page. I’m sorry for writing in English. It’d be great if someone could translate this message if necessary. One of the most requested features for Wikidata is to enable editing of Wikidata’s data directly from Wikipedia, so the editors can continue their workflow without switching websites. The Wikidata development team has been working on a tool to achieve this goal: fill and edit the Wikipedia infoboxes with information from Wikidata, directly on Wikipedia, via the Visual Editor. We already asked for feedback in 2015, and collected some interesting ideas which we shared with you in this thesis. Now we would like to present to you our first prototype and collect your feedback, in order to improve and continue the development of this feature. We present this work to you very early, so we can include your feedback before and all along the development. You are the core users of this feature, so we want to make sure that it fits your needs and editing processes. You will find the prototype, description of the features, and a demo video, on this page. Feel free to add any comment or feedback on the talk page. The page is currently not translated in every languages, but you can add your contribution by helping to translate it. 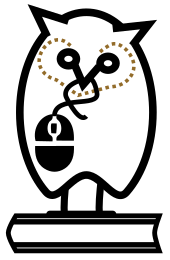 Unfortunately, I won’t be able to follow all the discussions on Wikipedia, so if you want to be sure that your feedback is read, please add it on the Wikidata page, in your favorite language. Thanks for your understanding. il primo nuovamente estetico: quei rimandi andrebbero orientati orizzonalmente per evitare di avere un'altra volta una colonna inutilizzabile a destra, sarebbe meglio allinearli al riquadro azzurro a inizio pagina o sarebbe possibile inserirli a fondo pagina? Allungare troppo quel riquadro orizzontale potrebbe però ostacolare in un modo diverso la lettura da smartphone? il secondo problema sarebbe di tipo pratico: quasi tutte le pagine contengono lo Stamp:Fin. Bisognerebbe intervenire manualmente per eliminare il template dalle pagine? Sarebbe un lavoro immane. Condivido che sarebbe molto meglio scrivere in piemontese, ma appunto gli altri partecipanti alla discussione non comprenderebbero nulla, e a me richiederebbe uno sforzo eccessivo scrivere, e già in questo periodo non ho tempo per Wikipedia. A margine, questo wiki esiste per produrre un'enciclopedia in piemontese, che quindi è la lingua che va usata nelle pagine di contenuto, mentre le discussioni sono solo uno strumento, e se per mandare avanti la baracca, considerati tutti i ben noti problemi della lingua piemontese, è necessario discutere anche in lingue diverse, ben venga, quello che conta è scrivere le voci. A l'é nassuje la Wikisource an piemontèis: http://pms.wikisource.org. A l'è già staita giontà, ant la pàgina d'intrada, com un dij proget frej. Modificà l'ùltima vira dël 12 Avr 2019, al 17:35.